Kings Cross has come a long way since its dark days as a no go zone – full of drugs, crime and prostitution. As part of central London’s largest redevelopments, billions has been invested into this once industrial wasteland transforming it into a sought after commercial and cultural centre. 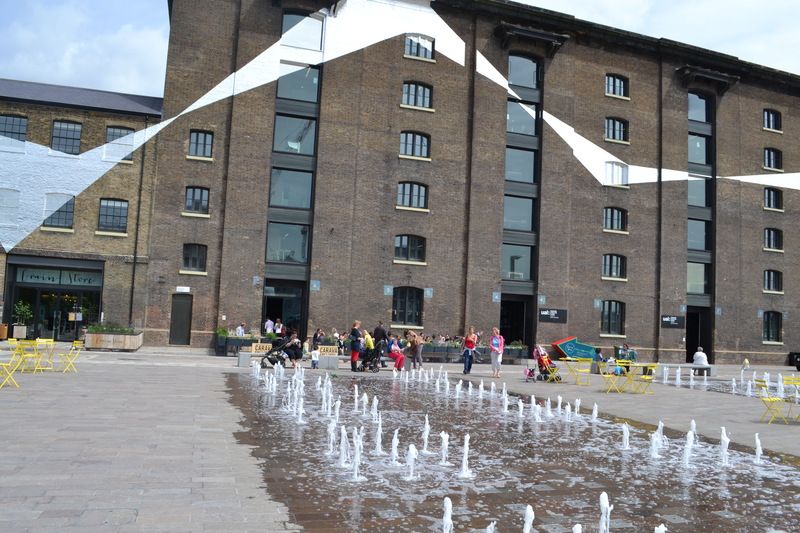 Granary Square, located in the heart of Kings Cross has become a foodie hot spot recently with the addition of KERB lunchtime markets and one of my all time favourite brunch spots in London – Caravan Kings Cross. 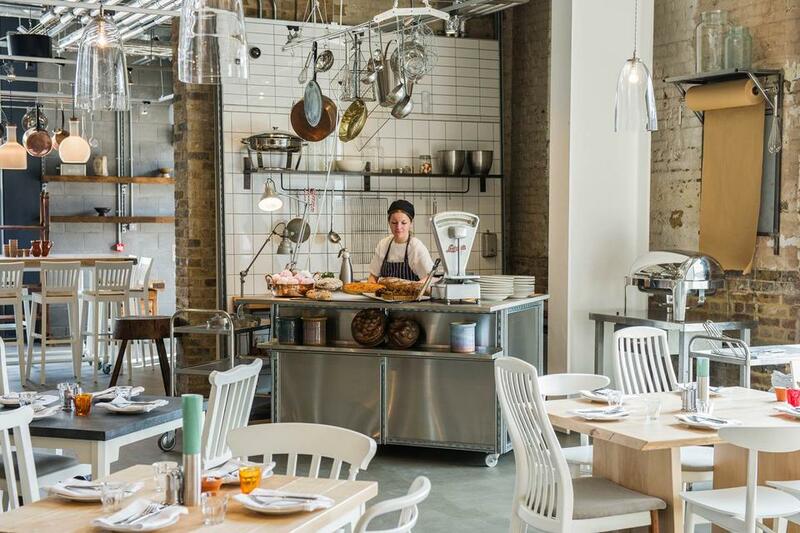 Grain Store is the newest restaurant by chef Bruno Loubet (of Bistro Bruno Loubet in Clerkenwell) and the Zetter Group’s Michael Benyan and Mark Sainsbury. With drinks as good as the Zetter Townhouse and Loubet’s phenomenal cooking talent, I had no doubt that this would be a winning combination. The service got off to a false start when we were greeted with an empty stare when telling the waiter we had a brunch booking at 11am. The waiter replied “are you sure you have the right restaurant since we are not open for brunch yet”. He was quickly corrected by the manager who apologised and said they had just commenced brunch reservations. From this point on the service was exceptional and couldn’t be faulted. I can easily forgive a few initial teething stages. The venue is a beautiful space, designed by the much acclaimed Russell Sage. The concept is centred around the “exploded kitchen”. Is it a bar? Is it a kitchen? Or is it a dining room? Whatever it is the concept has been brilliantly executed by Russell. Located on the ground floor of Grade II listed Granary Building, Grainstore has been brilliantly converted, retaining its heritage and exposed brick walls. With an open plan design it manages to blend modern and old elements harmoniously – think filament globes, ceiling piping and mismatched french provincial furnishings. Like it’s neighbour Caravan, Grainstore is a large and lofty space seating 140 plus covers inside so expect it to be bustling and noisy. However if you can sit where we did in the elevated booths off the main dining room, you will be treated to a cosy space with sofas and plush fur rugs on the wall. 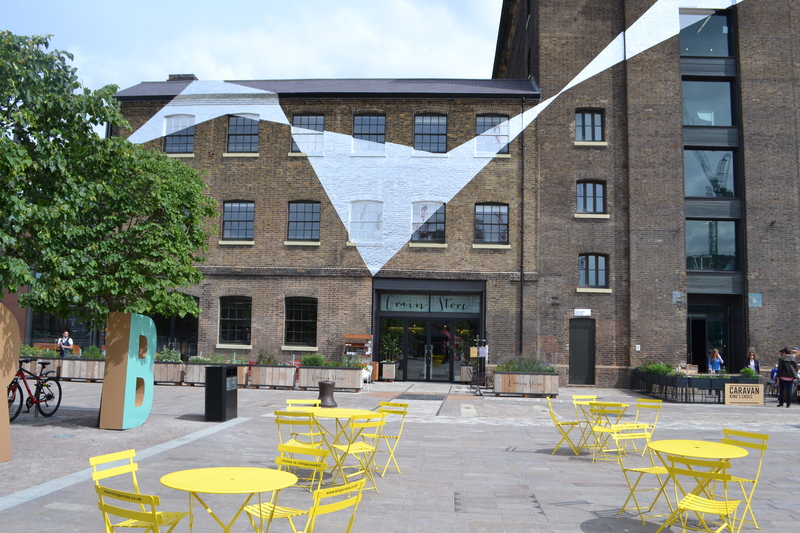 Or if it’s sunny outside, sit and watch the world go by on the terrace overlooking Regent’s Canal. 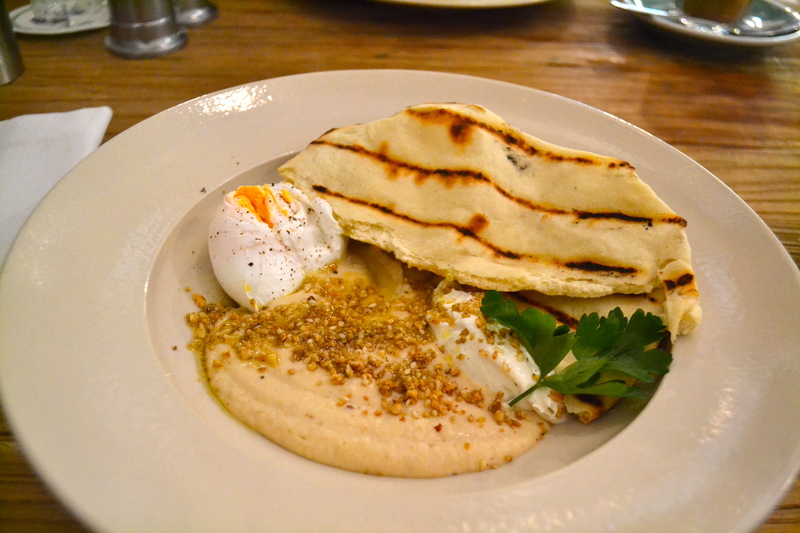 I ordered the white bean hummus, drained yogurt, dukkah, flatbread, poached Clarence Court egg (£8.50). 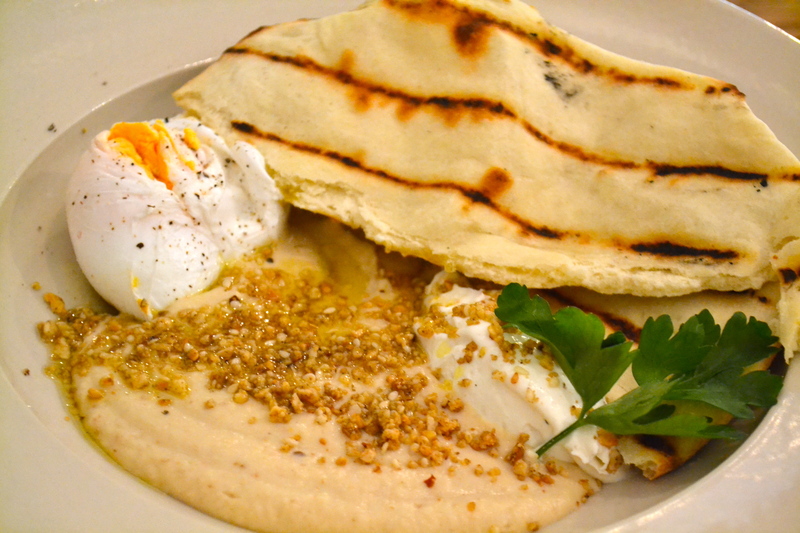 All elements of the dish worked together beautifully; the flatbread was soft and fresh and slightly barbequed and the hummus sprinkled with dukkah was full of flavour with a nutty crunch. Unfortunately the egg was a tad overcooked for my liking, if it had a runny yolk the dish would have been perfect. As an Australian living in London, it’s not often I see vegemite on the brunch menu. 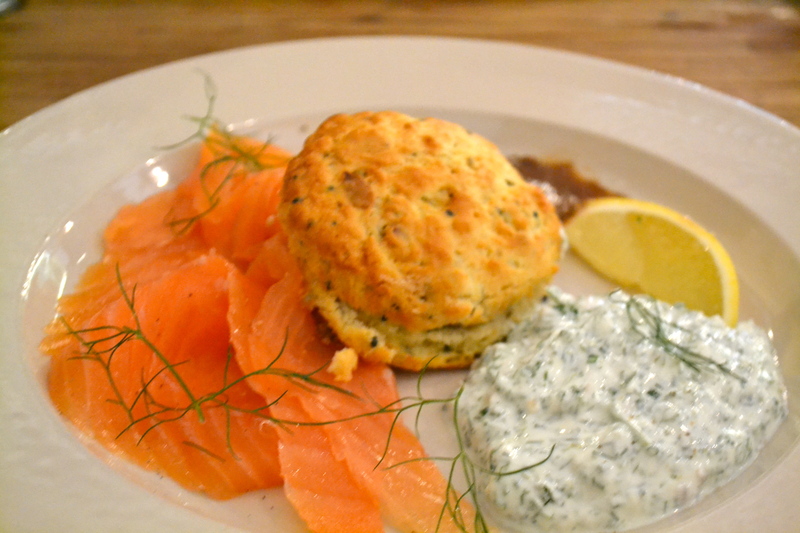 Once seeing the Seed scone with vegemite whipped butter, herb fromage frais and smoked salmon (£9.50) on the brunch menu I was instantly sold. Bruno Loubet is famous for his food pairings but at first I was initially sceptical about the how these elements would work together. The scone was dense and moreish. I was slightly disappointed in the whipped vegemite butter, it looked like vegemite had been blended with butter – not excactly the fluffy salty pile of goodness I was expecting. Aside from this the fromage frais was delicate and creamy and a perfect accompaniment to the smoked salmon. 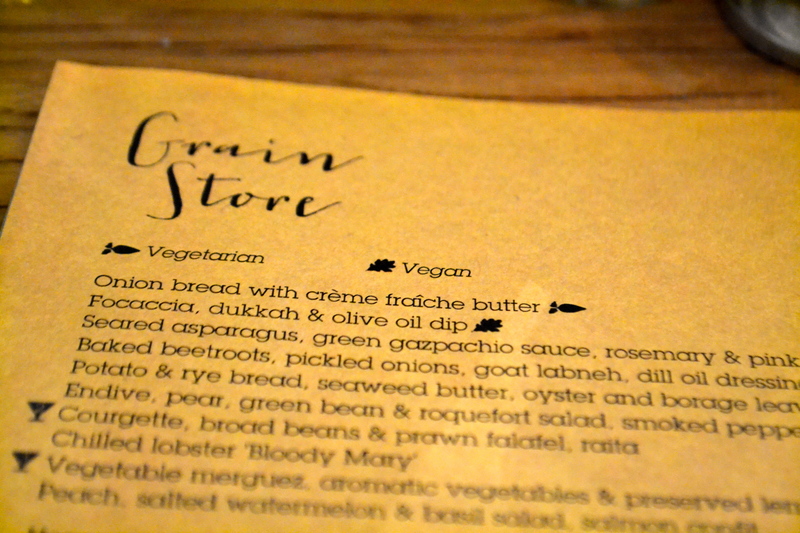 Grainstore shows great promise and it will no doubt develop into a great success. What I liked the most about it was that it was unique, I hope I am not the only one getting sick of hot dog and burger joints in London. Unfortunately for me it was a little too fussy for brunch but I am keen to come back for dinner and try the surprise menu. For one that likes surprises – at only £35, this sounds like an absolute steal. 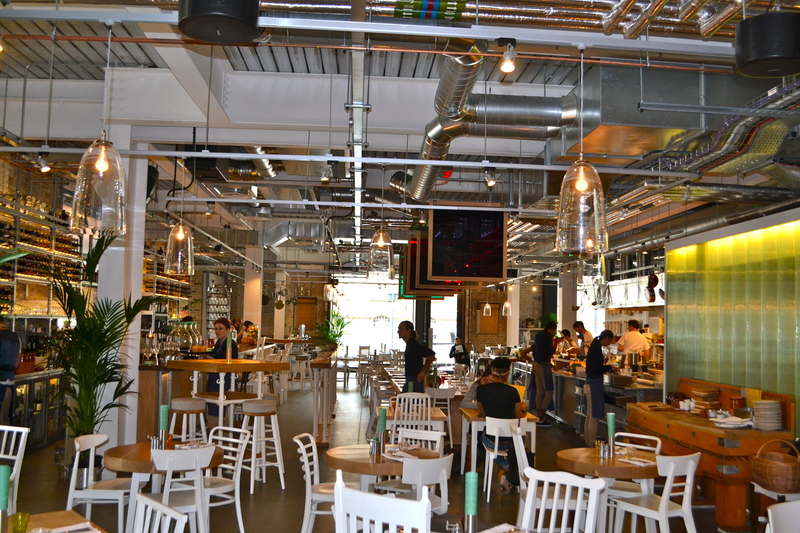 Approximately £30 for two items on the brunch menu including coffee and service charge. Opening hours: Monday – Wednesday 11am – 11:30pm, Thursday – Saturday 11am – midnight, Sunday 11am – 4.30pm.